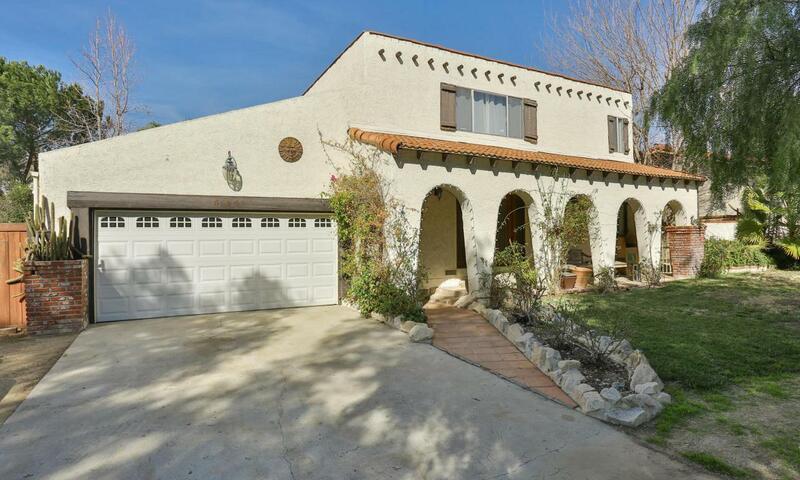 Fantastic Old Agoura horse property. A ''10'' location directly across from park, trails, and public equestrian arena. Four bedrooms including 2 true master suites (one up, one down.) Very large kitchen with white bead-board cabinets, granite counters, and hardwood floors. Living room features wet bar with mini-fridge and cabinetry. Excellent horse facilities include large turn-out, lighted stalls, wash area. Direct trail access to Cheeseboro National Park. Located within the highly acclaimed Las Virgenes School District. Sold by Jillian Johnson BRE#00692351 of Coldwell Banker Residential Brokerage. Listing provided courtesy of Nona Green DRE#00692351 of Coldwell Banker Residential Brokerage and Lisa Cataldo CA DRE# 01719717 of .